I never Saw Him until it was Too Late! Why won’t the Driver take Responsibility? The Driver should have Seen Me! Bowie pedestrian accident lawyer, George Patterson handles pedestrian accident cases throughout Maryland. The number of pedestrians struck each year in Maryland has risen from about 2,500 to over 3,000. 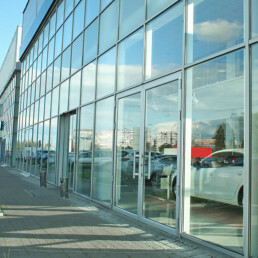 Many factors impact the liability of the driver or pedestrian for a pedestrian accident. Whether a pedestrian was in a crosswalk is an important factor but will not decide the case. In many cases the driver didn’t see the pedestrian or didn’t see the pedestrian until it was too late. Typically, the reason why the driver did not see the pedestrian in time will determine who is at fault for the pedestrian accident.  Each pedestrian accident lawyer at Patterson Law has been selected as a Top 100 Maryland Super Lawyer and a Top 100 Washington D.C. Super Lawyer. Please call Maria or George Patterson at 301-383-1522 to schedule a free pedestrian accident consultation. Patterson Law is located in Bowie, Maryland. A pedestrian’s leg can be amputated by a vehicle that is driving at or above highway speeds. Drivers and Pedestrians owe Duties to Each other. The age of the pedestrian. Maryland is a contributory negligence state. If a pedestrian was partially responsible for the accident they may not recover. In Maryland, young children are incapable of contributory negligence and older children are judged by a more lenient standard than adults. Was the pedestrian in a crosswalk? Maryland law requires a driver of a vehicle to stop for a pedestrian in a marked or unmarked crosswalk when the pedestrian is on the approaching vehicle’s half of the roadway or within one travel lane of the approaching pedestrian. Was the pedestrian in an unmarked crosswalk? The case law regarding unmarked crosswalks often requires the analysis of an experienced pedestrian accident lawyer. The most common example of an unmarked crosswalk is the portion of a roadway that is in between the path of a sidewalk that ends at the roadway and begins on the other side. The clothing worn by a pedestrian at night. Pedestrians and drivers have duties to each other. The clothing that a pedestrian is wearing at night is very important to these duties. Pedestrians wearing dark-clothing at night makes it harder for a driver to comply with their duty to see and stop for pedestrians in a crosswalk. The geography of the accident scene. A pedestrian should cross a roadway at a safe location. Crossing a roadway where the approaching driver has a limited sight distance due to a hill or a sharp bend in the roadway could be negligence on the part of the pedestrian. The geography could also help the driver argue that he did not have an opportunity to see and avoid striking the pedestrian. Likewise, a pedestrian that is crossing a long straight flat roadway should expect approaching traffic in the distance to be able to see the pedestrian and safely come to a stop. Did the accident occur in a congested commercial district or a neighborhood? Drivers have a duty to reduce their speed to account for numerous factors, including pedestrians. If a pedestrian accident occurs in a city, neighborhood or rural area then the analysis may change considerably. Maryland law requires drivers to reduce their speed due to special dangers to pedestrians. The location of the pedestrian in the roadway at the point he was struck is critical. Was the pedestrian walking on the edge of the roadway (facing traffic or with his back to traffic), in the travel portion of the roadway or entirely off the roadway. Did the driver remain at the scene after the accident? Fleeing the scene of an accident can be used as evidence that the driver was aware that she was negligent. 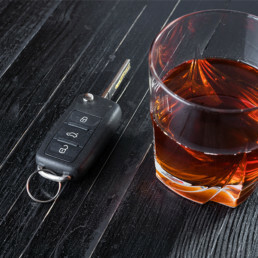 Was alcohol or drugs involved on the part of the driver or the pedestrian? Alcohol or drug use on the part of either party is a strong factor in determining responsibility for a pedestrian accident. Speed of the vehicle and the pedestrian. The speed of the driver may often be determined by witness testimony and also by an accident reconstructionist. Even in cases where a pedestrian is killed and the driver flees the scene a considerable amount of evidence is often left behind. This evidence is typically sufficient for an accident reconstructionist to estimate the speed of the vehicle. The speed of the pedestrian is often very important. A common situation involves a teenager playing catch in a residential area. Did the teenager run into the roadway after a ball without looking for approaching cars? Insurance companies refer to this as a “dart out” case. This situation may leave the driver with little or no time to avoid hitting a pedestrian. The lighting at the time of the accident. In areas that are well illuminated at night it will be harder for the driver to suggest that he was paying attention and did not see the pedestrian. On dark roadways with no illumination, a pedestrian should take care to wear brighter clothing and cross roadways with greater care. Was the sun low in the horizon? Many times drivers are blinded when the sun is low in the horizon and they fail to see pedestrians. Did the driver apply his brakes? If so did the driver leave any skid marks? The length of the skid marks coupled with the injuries and distance that the pedestrian travelled after impact can be used to establish the speed of the driver. If no skid marks were left on the road then it will be difficult for the driver to claim that he saw the pedestrian before the accident. Did the pedestrian after impact land in front of the car, hit the windshield of the car or fly over the car? These three scenarios lead accident reconstructionists to drastically different conclusions as to the speed of the driver. 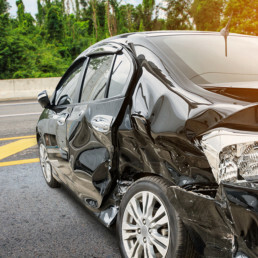 These facts can often be sufficient for an accident reconstructionist to establish that the driver violated Maryland law by speeding. Was the pedestrian’s leg broken, amputated or injured? If so which leg? This is important in determining the speed of the car and the direction the pedestrian was moving at the time of the impact. 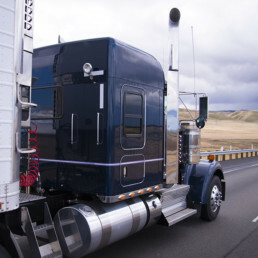 Highway speeds are generally required to amputate a pedestrian’s leg. If a pedestrian’s leg was amputated by the impact then an unsafe speed and violation of Maryland law can likely be established. The location of the pedestrian in the roadway and the location of the property damage to the vehicle. 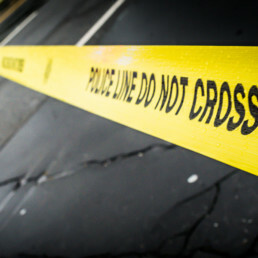 This information is critical in determining the credibility of allegations that a pedestrian darted out into the roadway. Was the driver using a cell phone when he hit the pedestrian? Drivers that text while driving are more likely to be distracted and strike pedestrians on the roadway as well as walking on the edge of the roadway. 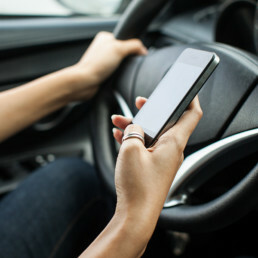 Driving while using a cell phone is a violation of Maryland law. George and Maria Patterson can analyze these factors to assess whether a pedestrian accident case should be pursued. 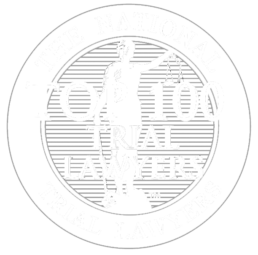 Please call a Top 100 Maryland Super Lawyer at 301-383-1522 for a free pedestrian accident consultation. Patterson Law is located in Bowie, Maryland. During stressful legal matters, Mr. Patterson treated my case as if it was his only one–always returns calls/emails, very personable and kind, explains legal matters in understandable ways, consistant with updates and options. Insurance Companies will stand by their Driver. Drivers that do not see a pedestrian before an accident often will not accept responsibility. The driver will typically fill in the blanks and assume that the pedestrian darted in to the roadway or was not otherwise visible. 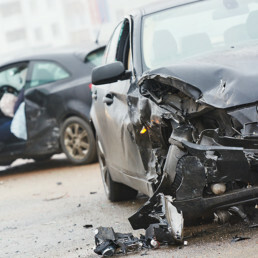 Insurance companies will gladly defend a driver in a personal injury claim where the driver claims he was not at fault. George and Maria Patterson have successfully exposed beliefs by such drivers to be flawed. 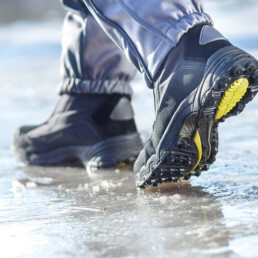 Pedestrian accident victims are often left with permanent injuries and debilitating anxiety. 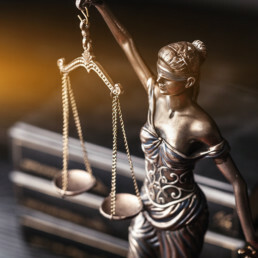 Best Attorney Lifetime Charter Members are extraordinary lawyers with an extraordinary level of legal expertise, competency, professional reputation, professionalism and ethical standards. 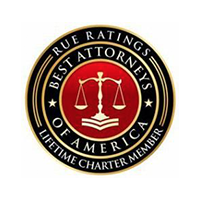 Rue Ratings’ Best Attorneys of America® has personally invitet George Patterson to be a Lifetime Charter Member. 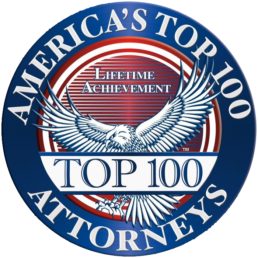 Best Attorney Lifetime Charter Membership is limited to 100 attorneys in each state. The Bowie pedestrian accident lawyer serves clients in Prince George's county and throughout Maryland.  Patterson Law is located in Bowie, Maryland near the intersection of Route 50 and Route 301. The analysis of a pedestrian accident, particularly one involving a fatality is complicated. Pedestrian accident lawyer, George Patterson has recovered on behalf of the families of pedestrians where police officers and accident police reconstructionists have placed the blame for the accident on the pedestrian. George and Maria Patterson have litigated dozens of pedestrian accidents. Please contact, a pedestrian accident lawyer at Patterson Law for a free consultation at their Bowie office. 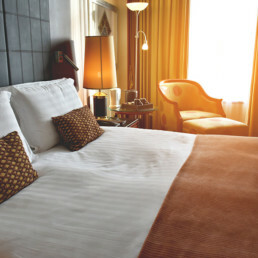 For a free consultation please call the Bowie office during work hours at 301-383-1522. For immediate assistance after hours or on a weekend please call the pedestrian accident lawyer hotline at 240-893-7474.